Cherry flavor was brought into the blu range because traditional tobacco and menthol flavors aren't for everyone. It was found that different flavors are just as easy to formulate, and so cherry crush was added to the mix as a test. Many blu ecig users smoked in the recent past, so this move away from traditional smoking flavors was something of a risk, but the beauty of vaping is that the user is not tied to the limits of how tobacco can be flavored. 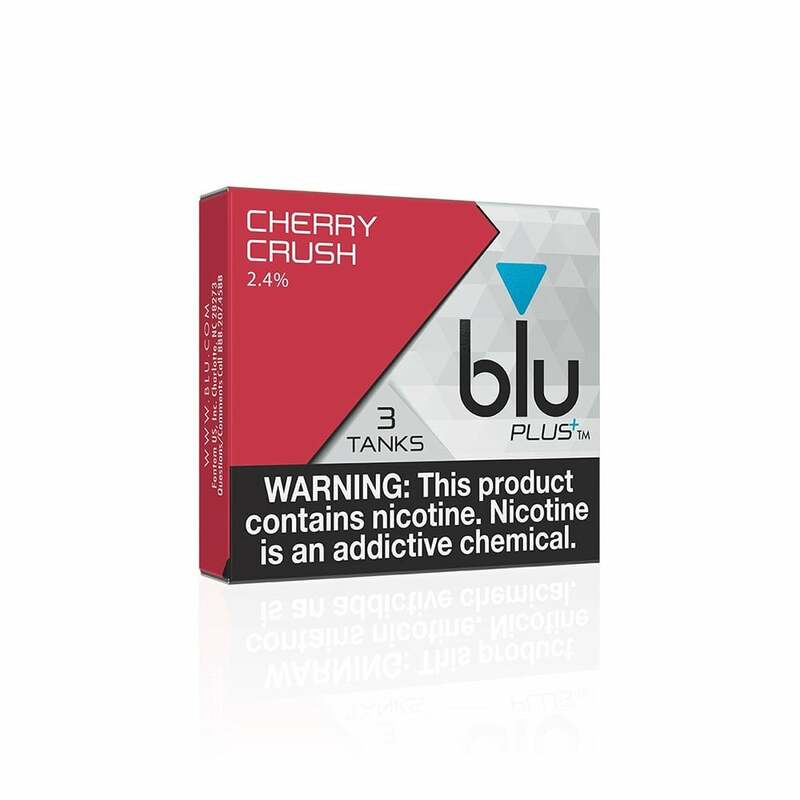 They needn't have worried up at blu's Ivory Towers, the Cherry Crush blu Tanks™ have become one of the most popular 'alternative' cartridge flavors offered by any brand in America, but are of course best enjoyed by those vapers with a sweet tooth. These smell good but the flavor is disgusting. It doesnt taste like cherry to me at all. It's like someone sprayed cherry scented air freshener in my mouth. Very disappointed. I usually get the gold leaf...so maybe I'm just not used to it but it wasn't for me. These flavor tanks have a very mild cherry flavoring that is not long lasting.I prefer the E-juice over these any day. All arrived in very timely manner and were much cheaper than buying locally. I think this is the best flavor I truly enjoy the smoothness of this flavor. Got it fast! The cherry is my favorite!